Excellent recordings of the sounds of frogs and toads are in the audio CD of "The Calls of Frogs and Toads", by Lang Elliot, 2004. 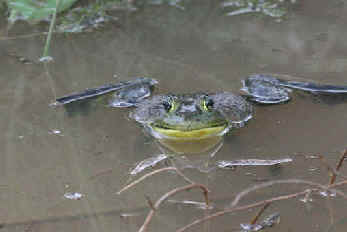 The Green Frog is primarily aquatic in its habits. It can be abundant, occurring along the edges of ponds, lakes, streams, and other permanent bodies of water. When approached, the Green Frog leaps from the shoreline and squeaks an alarm note before hitting the water. 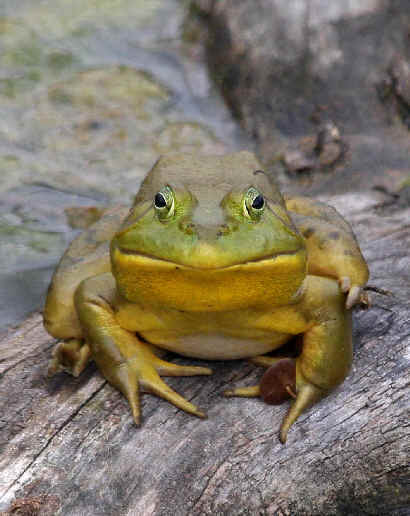 The coloration and pattern of the American Bullfrog is variable. The dorsal color varies from bright leaf green to olive, olive-brown, or brown. The dorsal pattern varies with individuals that may include mottling or marbles that are dark brown to black on the back and the sides of the body. 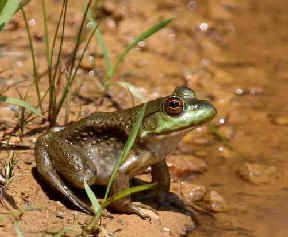 The American Bullfrog may be heard, generally, from April to August. It avoids temporary bodies of water. The River Frog occurs in the coastal plain. It is generally uncommon. 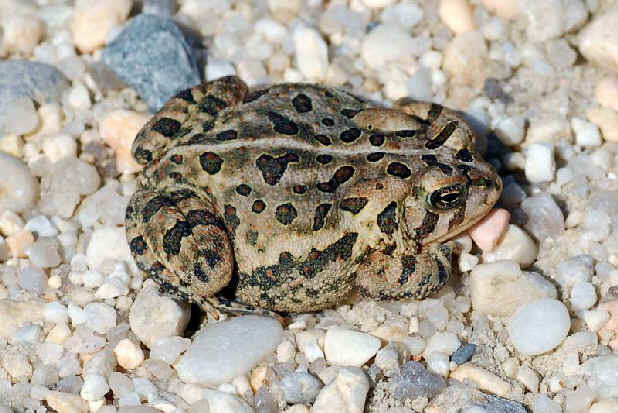 Unlike the Carolina Gopher Frog (below, in this list), the River Frog generally does not call in choruses, and the calls of lone males (a low, rumbling snore lasting from 1 to 3 seconds) are easily overlooked. The breeding of Rana heckscheri is from April through the summer. The Pickerel Frog breeds in lakes, ponds, and streams. It also occurs in grassy areas away from water. Males sometimes call while submerged. The name "Carpenter Frog" is because its advertisement call is a distinctive series of sharp, double rapping notes, that sound like two carpenters hammering nails slightly out of synch. It may be heard from spring to late summer. 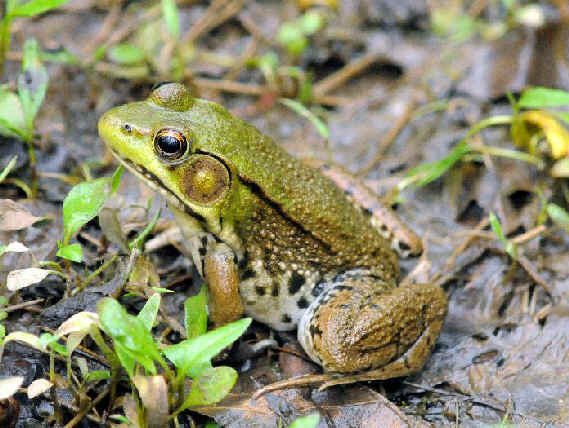 Rana virgatipes is also called the Sphagum Frog due to its close association with sphagum bogs. Otherwise, it can also be found at lakes and ponds. 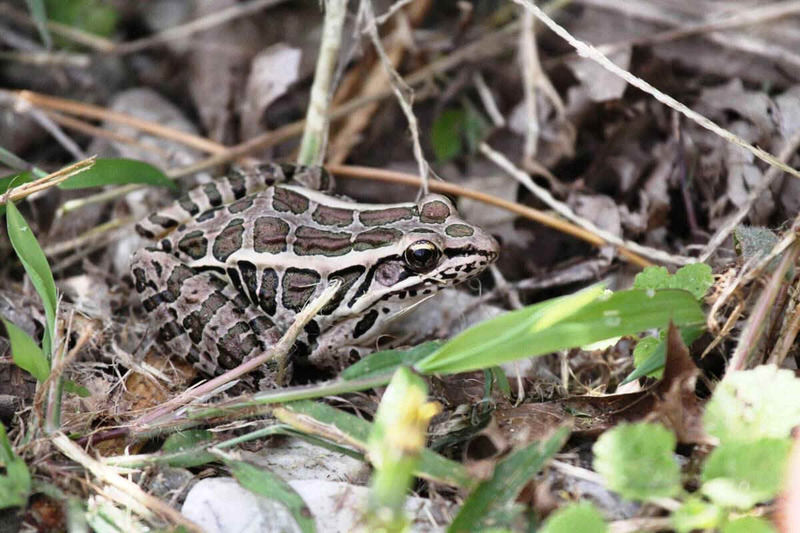 The Southern Leopard Frog often wanders away from water into grassy and weedy places. It may be heard in the spring and, in the southern part of its range, throughout the year. Rana capito is found in dry, sandy habitats of the coastal plain. It breeds in nearby ponds and swamps. 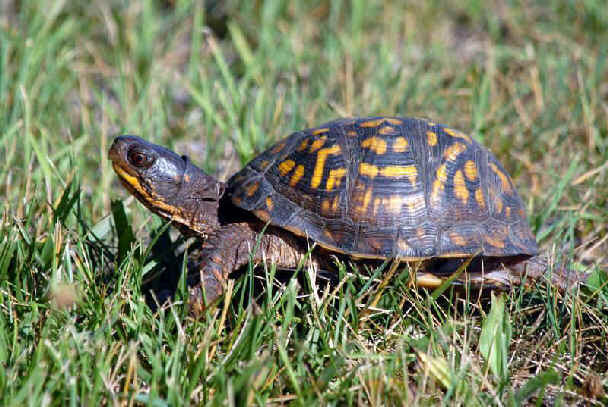 It is a nocturnal species, that is named for its habit of taking shelter during the day in burrows of other animals, particularly the Gopher Tortoise (which occurs in southern South Carolina and south to Florida). Outside it breeding season, the Wood Frog is terrestrial, preferring moist, wooded areas. The Crawfish Frog favors moist pastures and meadows, where it takes shelter during the day in crawfish burrows, or the burrows of other animals. The northern limit of the range of the Crawfish Frog is east-central North Carolina. 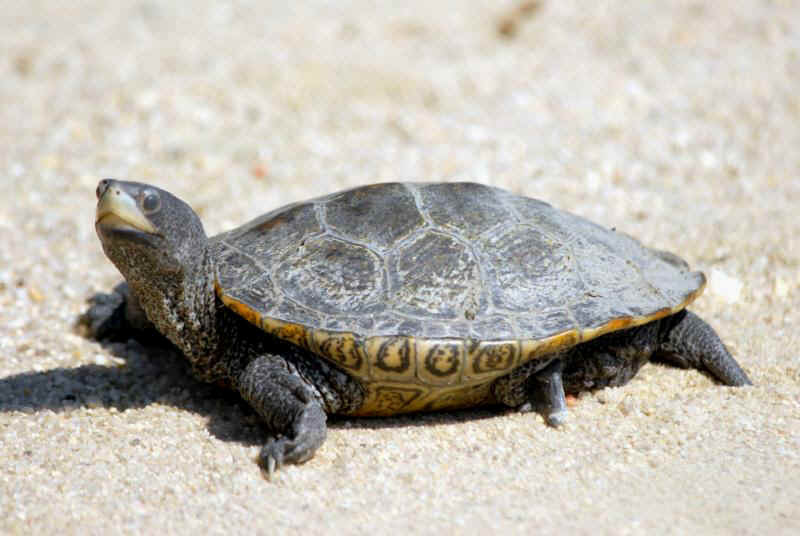 In North Carolina, Rana areolata is classified as near, or potentially, threatened. The range of the Southern Chorus Frog, Pseudacris nigrita, is the coastal plain from North Carolina to Mississippi. The northern limit of is range is east-central North Carolina. It frequents a variety of habitats. Pseudacris nigrita calls from grass at the edge of water in roadside ditches, temporary pools, and flooded fields. The Southern Chorus Frog breeds in the winter, from November to April. The Upland Chorus Frog, now Pseudacris feriarum, was long considered to be a subspecies of the Western Chorus Frog, or Striped Chorus Frog, Pseudacris triseriata. In the eastern US, the Upland Chorus Frog is generally restricted to the Piedmont region. Pseudacris feriarum breeds from winter to spring in roadside ditches and other shallow water, often adjacent to farmland. The Mountain Chorus Frog ranges in the Appalachian Mountains, south from southwestern Pennsylvania. In North Carolina, it is in the far-western part of the state. Pseudacris brachyphona breeds from winter to spring in pools, ditches, pongs, or springs in forests or at forest edges. The range of the Brimley's Chorus Frog is on the coastal plain from Virginia to Georgia. 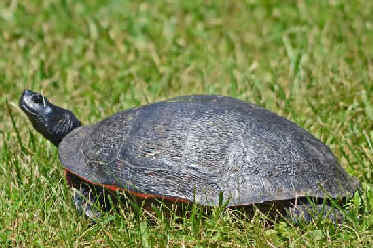 It breeds from November to Marsh, or April in ponds, swamps, and ditches. The advertisement call of Pseudacris brimleyi is much like that of the Southern Chorus Frog, but more raspy. The northern limit of the range of the Ornate Chorus Frog is south-central North Carolina. It breeds from December through March, usually after rains, calling from temporary pools, ponds, and roadside ditches by open areas. The Pine Barrens Treefrog is one of the most beautiful of the frogs in eastern North America. It is green above with white-bordered lavender stripes on each side. Hyla andersonii is found only in pine barren habitats. In North Carolina, it occurs in 16 counties in the south-central part of the state. The advertisement call of the Pine Barrens Treefrog is rather similar to that of the Green Treefrog (below), but it is somewhat more melodic and usually higher in pitch and repeated more rapidly (with up to 3 calls per second). 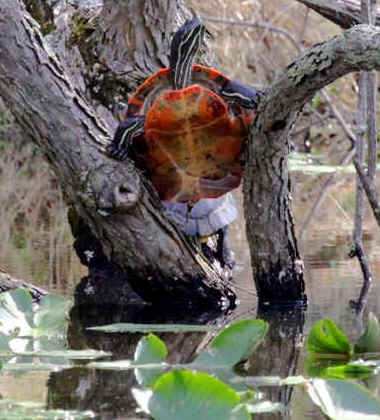 It can be heard from bogs, swamps, and shrubby areas where water seeps to the surface. Other names for Hyla cinerea are "Cowbell Frog" and "Rain Frog". The first of these names is because at a distance the call can sound bell-like. The second name is because huge choruses erupt after warm rains. The Green Treefrog breeds in swamps, marshes, and ponds. The Barking Treefrog is found mainly in coastal plain habitats from North Carolina to Louisiana. From a distance, the Barking Treefrog sounds like the hollow barks of a hound dog. It gives a different call from trees or shrubs, harsh and barking. The breeding of Hyla gratiosa is from spring to early autumn in shallow ponds and cypress swamps. The Pine Woods Treefrog spends much of its time high in trees, especially pines, where it feeds on small insects. The reddish-brown color of the frog provides camouflage against the pine bark. The range of Hyla femoralis is the pine forest habitats in the coastal plain from Virginia to Louisiana. The Pine Woods Treefrog breeds from late spring through the summer in ditches, pools, and small ponds. The Squirrel Treefrog sometimes feeds in trees, but it is also found on the ground near decaying stumps or logs. 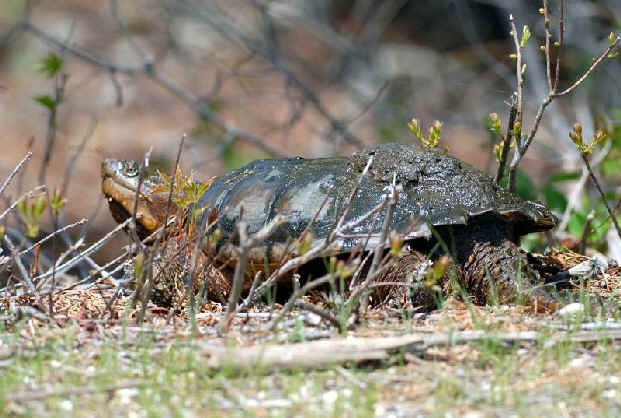 It breeds in temporary ponds and ditches. Hyla versicolor and Hyla chrysoselis (below) are identical in appearance, but they can be distinguished in the field by their vocalizations. The two species do not interbreed. Hyla versicolor, the Gray Treefrog, spends most of its time above ground, looking for insects in trees and shrubs. 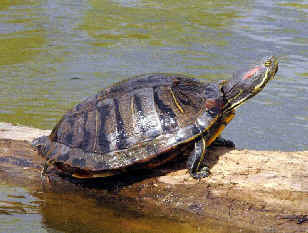 It breeds from the late spring into the summer in ponds and pools surrounded by shrubs and trees. In the summer, it may trill. As noted above (in this list) with Hyla versicolor, it and Hyla chryoselis are virtually identical in appearance. But generally there is not an overlap in the occurrence of these two look-alike species. What was written above about the Gray Treefrog, regarding habitat, habits, and breeding, also applies to the Cope's Gray Treefrog. The Northern Cricket Frog calls from open or grassy edges of ponds, lakes. creeks, and swampy areas. It breeds from late winter into the summer. The Southern Cricket Frog calls from floating vegetation or from shorelines of lakes, ponds, and streams. It breeds primarily from April through the summer. The Little Grass Frog is the smallest frog in North America. it is active during the day in open grassy areas. Breeding is from winter to summer, with a spring-time peak. It calls from flooded grassy meadows, roadside pools, and ponds with emergent grassy vegetation. The advertisement call of the Little Grass Frog is very high-pitched and insect-like. The Southern Spring Peeper, Pseudacris crucifer bartramiana, is south of North Carolina in Florida. The Northern Spring Peeper breeds in pools, ditches, and ponds. It is not often seen outside the breeding season when it looks for insects in trees and shrubs, and on the ground. Pseudacris crucifer has a "rain call" given periodically in the summer and autumn, from trees and shrubs, that is a repeated series of peeps or squeaks that are harsher and more dissonant than its call in the spring, hence the nickname "Autumn Piper". 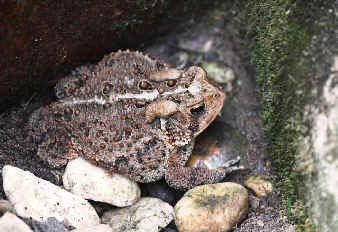 The American Toad generally breeds in the spring, from April to June. In the South, it breeds earlier. The Oak Toad is the smallest of the true toads in North America. It is abundant in the southeast US, in oak-pine woodlands and upland pine forest on the coastal plain from Virginia to Louisiana. It is commonly seen during the day. During dry periods, it burrows into the ground. The range of the Southern Toad is on the coastal plain from Virginia to Louisiana. The Fowler's Toad was a subspecies of the more-westerly Woodhouse's Toad, Bufo woodhousii. Bufo fowleri breeds mostly from February through May, but it can be heard in the summer from lakes, ponds, rivers, ditches, and pools. 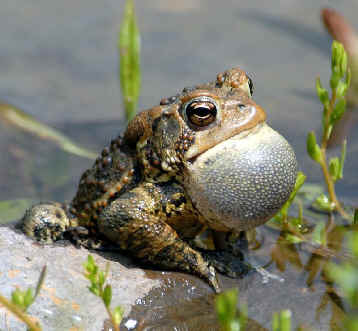 The advertisement call of the Fowler's Toad is a buzzy, nasal trill lasting from 1 to 5 seconds. It sounds somewhat like a baby crying. The Eastern Spadefoot Toad was considered a subspecies of the Hurter's Spadefoot Toad, Scaphiopus hurteri, of Texas, Oklahoma, Louisiana, and Arkansas. Scaphiopus holbrooki breeds in temporary pools caused by heavy rains. It calls during the summer. The Eastern Narrowmouth Toad occurs in a variety of habitats, but in its habits it is secretive. It breeds in ponds, lakes, pools, and ditches. The Carolina Mudpuppy is endemic to North Carolina, in the Neuse and Tar River basins. Necturus lewisi is classified as near, or potentially, threatened in North Carolina. 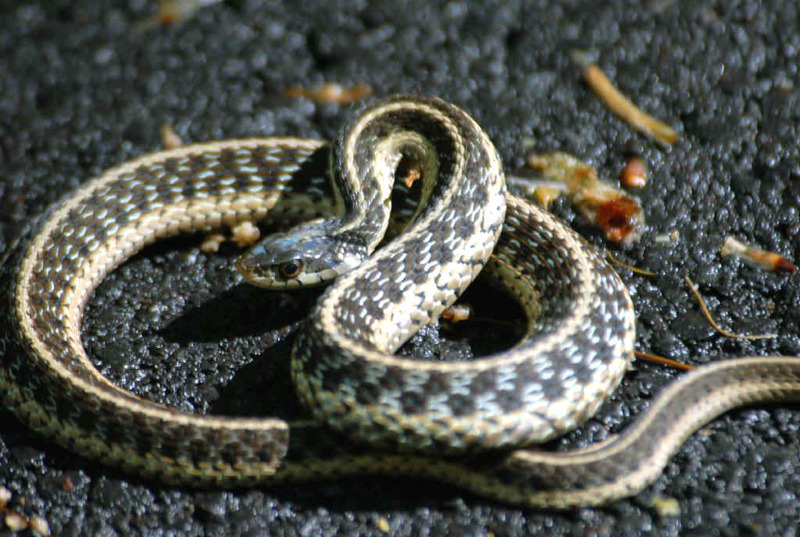 Siren lacertina is classified as near, or potentially, threatened in North Carolina. Desmognathus ochrophaeus has an amazing variation in color, markings, body proportions, and size. the variation is individual, ontogenetic, and geographic. Desmognathus imitator is a cryptic species that resembles Desmognathus ochrophaeus in size and general appearance but differs in genetic makeup. Many populations of Desmognathus imitator vary markedly in color and pattern and can be distinguished from Desmognathus ochrophaeus only be electrophoretic analysis. Presently, only certain populations along the main ridge of the Great Smoky Mountains can be distinguished from Desmognathus ochropheus by their color patterns. 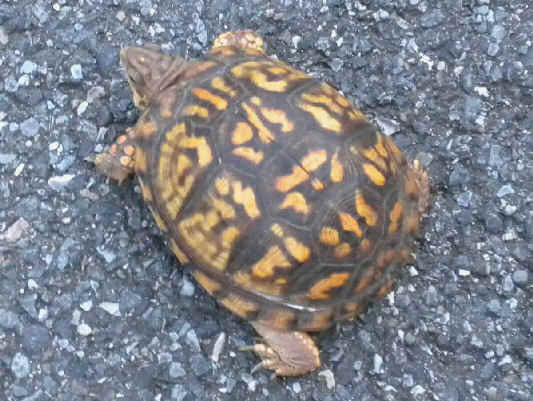 Eurycea juniuska is known only to be in Graham County, North Carolina, and the western tip of the Great Smoky Moutnains Park. In North Carolina, Plethodon dorsalis is only known to occur in Henderson County. It seems as if the known populations of Plethedon dorsalis are relicts of a widespread Pleistocene population. The American Alligator is classified as endangered on North Carolina. In the lower photo, the turtle crossing a road. An excellent book, filled with good information about Sea Turtles, and interesting reading, is "Voyage of the Turtle - in Pursuit of the Earth's Last Dinosaur", by Carl Safina, published in 2007. 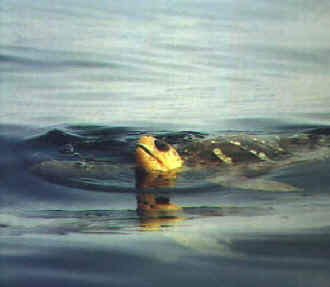 The Leatherback Sea Turtle is classified as endangered in North Carolina oceanic waters. The Loggerhead Sea Turtle nests on a few undisturbed beaches in North Carolina. 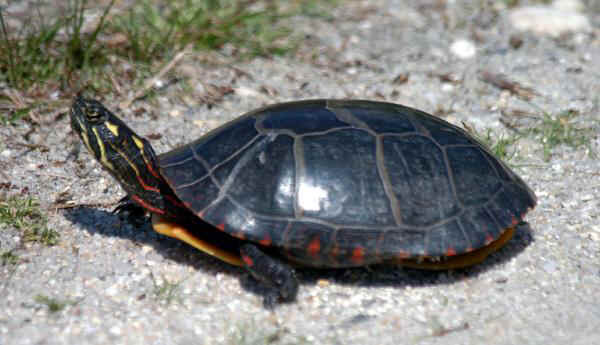 It is classified as endangered in the state along the seacoast and offshore. 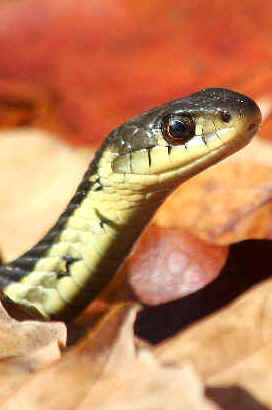 As the English name implies, the Black Racer is a fast-moving snake, but contrary to the scientific name (constrictor), it does not use constriction to subdue its prey. The Corn Snake can be confused with several other snakes, notably the Milk Snake, the Black Rat Snake, and the Copperhead. Heterodon platyrhinos is typically found in sandy habitats, occurring in fields, dunes, and on beaches. Heterodon platyrhinos has the formidable-sounding nicknames noted above from a behavior that it has of scaring off would-be attackers. When disturbed, the Hognose Snake widens its neck to take on a hood-like appearance. It does so by flattening the head and neck, spreading long rib-bones outward. Then, inflating the body with air, hissing and striking out, it suddenly resembles a fearsome-looking creature. But it is harmless, and if awards in various categories were given to snakes, Heterodon platyrhinos would win hands-down for "most dramatic performance". These 2 forms, that appear so different from each other, were long thought to be 2 species, but are actually conspecific. 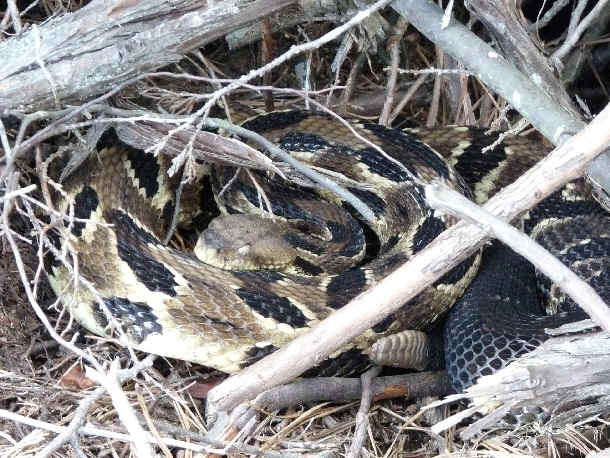 There's a zone of intergradation, with snakes having intermediate characteristics, in northeastern North Carolina. The Eastern Coachwhip is probably the longest snake in North Carolina. The Common Water Snake is a common resident of swamps, marshes, bogs, streams, and pond and lake borders. Quiet waters are preferred, but it can occur by swift-flowing streams and in the environs of waterfalls. It can be in any of these wet places where it has not been exterminated by people or pollution. Regina septemvittata is rarely found far from the water's edge. Its principal food has been said to be crayfish that have already molted. 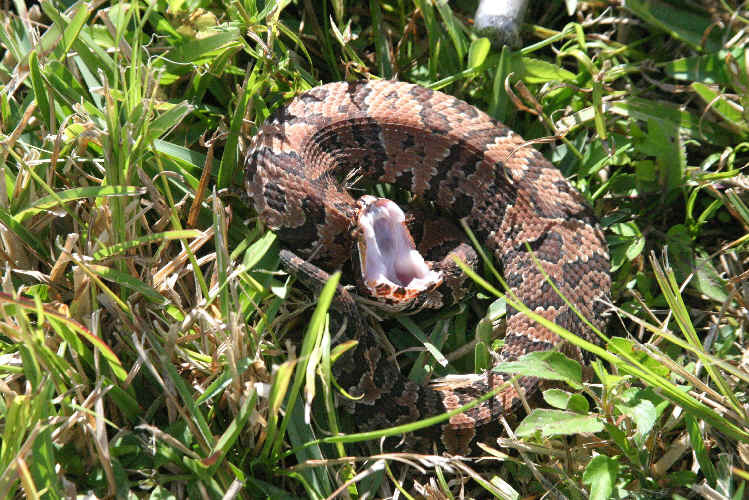 The Eastern Diamondback Rattlesnake is classified as endangered in North Carolina. In the Carolinas, Crotalus horridus is called the "Canebrake Rattlesnake".